Getting your children back in the mindset of going back to school can be tough. After a long winter break filled with gifts, gatherings, and staying up late, getting back into the school routine seems impossible to do in one night. Although the first day back to school is around the corner, you can get your children ready for their first day back sooner than you think. 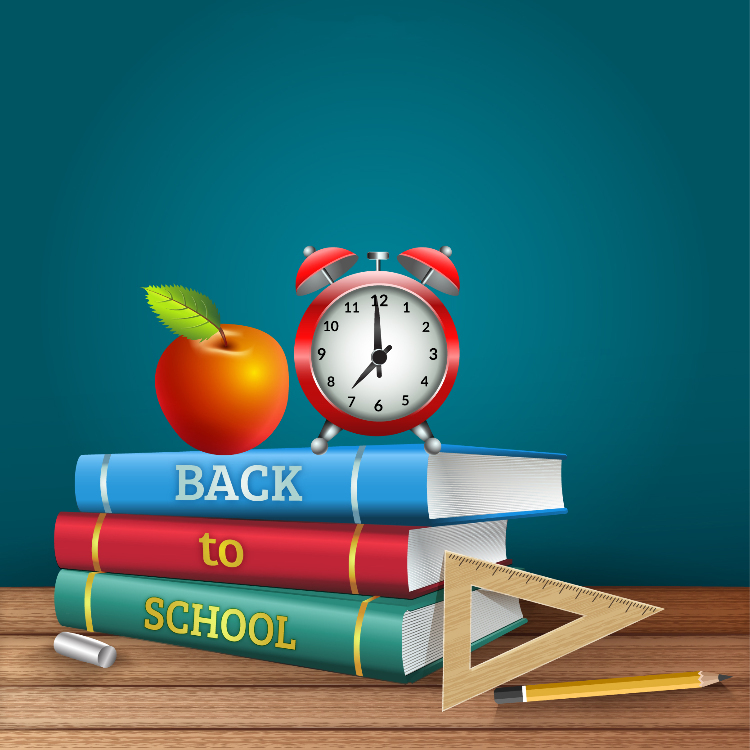 Here are a few ways to get prepared for school again. Some of us have our shoes, bags, and Jackets by the door before work the next day, do the same for the kids. Make it fun! Cut out a nice big cardboard circle and create a “Launch Pad”! Pull out the paint, crayons, and markers for them to design their own. Every night before bed, make sure that their backpack and school essentials are on their launch pad ready for school. Start your routine a few days earlier. Don’t wait until the day before school to get your child to bed on time. Start a few days before so that the family isn’t stressed out Sunday night. Getting up at the time that your kids would on a school day is necessary. Bedtime won't be as rough if they are up at a decent time every morning. Between getting everyone dressed or deciding what to cook for dinner, it can be a little stressful. Whatever your routine would be during the week, try putting it on the chart. Planning the week out ahead of time will save money and protect you and your children from stress. Winter break may be filled with a ton of video games and TV. Create a fun activity for after school that your child can substitute to for electronics. Find other families in the community and organize a fun evening at the park. Electronics may hinder your child from getting the extra hours of sleep.